Whether you need a private event venue in Dallas for an award banquet, family reunion or 50th anniversary party, choosing Y.O. Ranch Steakhouse for your banquet hall is the best guarantee that the affair will be a grand success. Located in the heart of the downtown Dallas and the West End historic district, Y.O.’s banquet halls for rent not only offer you a distinct setting for the festivities, but give everyone the chance to sample some of the best food in downtown Dallas as well. With our dedicated event concierge Michael Street overseeing the preparations, you can count on enjoying a stress-free affair too. 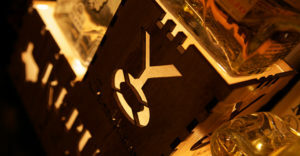 Excellent customer service, delicious food, and artfully decorated private dining rooms make the Y.O. Ranch Steakhouse the premier venue for Dallas banquets halls. 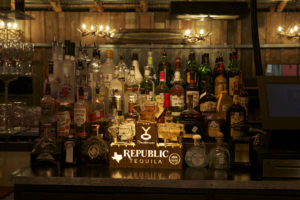 When it comes to choosing the ideal party venue in downtown Dallas, atmosphere matters. At Y.O. Ranch Steakhouse, our elegant private dining rooms feature turn-of-the-century hardwood floors, century-old brick arches, luxury furnishings and rustic appointments, including artifacts from the original Y.O. Ranch Steakhouse. The décor is designed to create a warm and inviting environment that will put your guests at ease. Whether you need an intimate space, such as our Windmill Room that seats to 16 guests for dinner or lunch comfortably, or a banquet hall large enough to accommodate up to 150 for a sit-down feast, you’ll find the perfect private party venue in downtown Dallas at the Y.O. Ranch Steakhouse. Even the most beautiful banquet hall in Dallas won’t impress your guests if the food isn’t up to par. With delicious dishes that prompted the Food Network to name us “one of the nation’s finest steakhouses,” the Y.O. 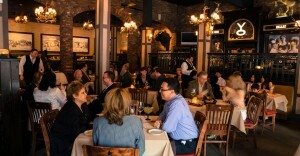 Ranch Steakhouse features some of the best private dining and steak restaurants in downtown Dallas. Our banquet lunch and dinner menus include tantalizing starters, delectable desserts, and mouth-watering entrées that range from Rib-Eye steaks and Filet Mignon, to Elk Tenderloin and Chicken-Fried Lobster. Our five-star cuisine will ensure that your event receives rave reviews from all of your guests. Whether you’re on the hunt for a unique banquet hall for your wedding reception in downtown Dallas, or for a venue for a corporate event like an award banquet, retirement celebration or holiday party, the Y.O. 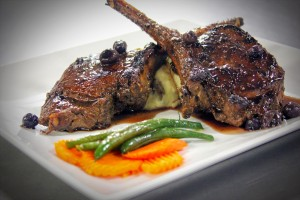 Ranch Steakhouse is a great destination located in the historic West End district. With menus designed to accommodate every price point, our Dallas banquet halls for rent are an affordable option. Just a block away from the West End Dart Station and plenty of on and off street parking, we’re situated in a downtown location that makes us a convenient choice for your guests as well. At Y.O. Ranch Steakhouse, our event specialists have extensive experience in creating fabulous celebrations that you and your guests will long remember. From graduation parties and high school reunions, to business meetings and corporate functions, our banquet halls have all the audio/visual equipment and amenities you need to make the event memorable. With our marvelous food, professional staff, and elegantly rustic décor, sharing time together with your friends, co-workers and family at our top-quality Dallas steakhouse will create memories that everyone will treasure for many years to come.